Paal pongal |Milk Pongal| Vellai Pongal is a milk based pongal prepared using newly harvested rice on Pongal celebration. 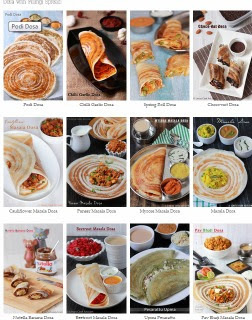 For pongal generally sweet and salt versions has been prepared in each home. 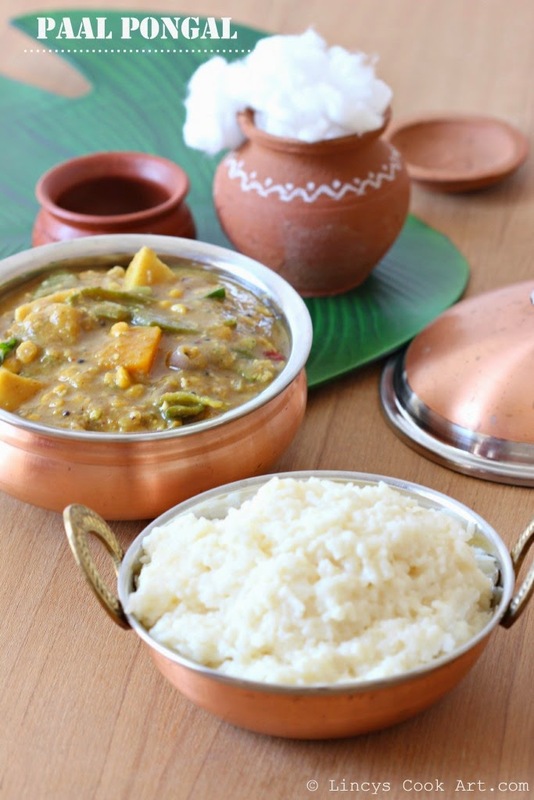 This is a salty verison of pongal generlly consumed for lunch paired with Pongal Kuzhambu. I wish all readers, my friends and family members, A Happy Pongal!!! Hope this pongal brings happiness, peace and prosperity in every ones life. 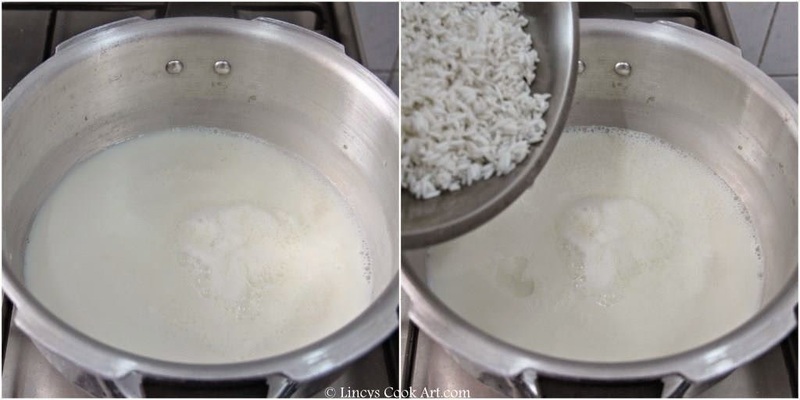 Boil milk and water together in a pressure cooker or a heavy bottom vessel. Once it starts to boil add the washed raw rice and close with a lid and pressure cook for 3 whistles on low flame. 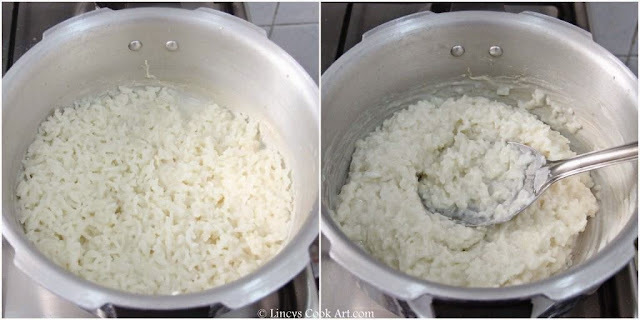 Once the steam escapes open the lid and add a pinch of salt and slightly mash the rice with a back side of the ladle or masher. If you feel the pongal is thick add some more milk and cook the pongal till it starts to bubble. Note: If you use normal heavy bottom pan you require about 1- 1½ cups more water.